The new week of NBA action got off to a thrilling start, with Monday night’s action providing plenty of talking points for basketball fans. There were also a number of big basketball betting opportunities, and some fans would have gotten their week off to a flying start. The Cavaliers have been struggling to find form so far but a 118-111 win over the Pelicans will have been well received by the Cleveland faithful who have been wondering how long it would be before the LeBron effect kicks in! The Atlanta Hawks got an excellent on the road in New York, triumphing against the Knicks by a score of 85-91. The Spurs also triumphed on the road, defeating the Los Angeles Clippers by a score of 85-89, a result that will have shocked a few fans, even though the Spurs are the reigning champions. The Pacers held on for a strong 97-86 win over the Jazz and the Bulls finally gave their home fans something to cheer about, defeating the Pistons by a score of 102-91. The Raptors have already claimed their best start in the history of the team, but they will be looking to maintain this fine form, standing at 6-1 so far, when the Magic come to town. A big 120-88 win over Philadelphia on Sunday night saw the Raptors head to the top of their conference for the first time in their history, and now that they are there, they will be in no rush to relinquish this position. DeMar DeRozan has a personal incentive to fire the team to glory on Tuesday night because he needs 21 points to move into third spot on the all time list of point scorers for the Raptors. Given that he grabbed 24 points in the game against the 76ers, this isn’t out of the question, not when you take on board that DeRozan also grabbed 52 points in the two meetings against Orlando in the previous season. However, it is the defensive performances that have been the mainstay of Toronto’s success so far this campaign. Orlando holds a 2-5 record at the moment, and they will be coming into this game after a 104-96 loss in Brooklyn on Sunday night. The player on fire at the moment for the Magic is Nikola Vucevic, who grabbed a season high of 27 points on Sunday. The Raptors defence is keeping their opponents at bay, and if their forwards can do their job, the odds of 1.90 for the Raptors at -10.5 aren’t too bad at all. Bet Now! This is a game between two teams with contrasting fortunes. The Lakers have a 1-5 record, but they come into this game after their first win of the campaign. The Grizzlies have a 6-1 record, but they come into this game after their first loss of the campaign. It will be interesting to see how both teams react to this situation. The Memphis loss on Saturday was a sore one, losing out to a three points shot with 1.1 seconds on the clock, Milwaukee being the victors in a 93-92 match. Zach Randolph picked up 22 points on that game, and he has been leading the charge in the media for the Grizzlies to bounce back straight away from that tough loss. Things are a bit more optimistic for the Lakers though and their 107-92 win over the Hornets on Sunday would have ensured that the coaching team and players would have enjoyed some sleep at last! Kobe Bryant and Jeremy Lin both grabbed 21 points and they’ll be needed in this game if there is any chance of the Lakers going for another win. That match was the first time that the Lakers prevented their opponents grabbing 100 points, so the defence will be a necessary component in this match too. If you believe in the power of momentum, the odds of 1.90 for the Lakers at +10 will be of interest. Bet Now! With the Thunder at 2-5 and the Bucks at 3-4, you have two teams desperate for a win to improve a slow start to the 2014/15 NBA season. The Bucks have been poor at home so far, but they are facing a team who have been poor on the road, so there is every chance that something has to give tonight in this match. Giannis Antetokounmpo is showing great form for the Bucks and he managed to pick up the second double-double of his career in his last match and his coach Jason Kidd is encouraging the player to be even more aggressive in his play. It was a huge win for the Bucks at the weekend, triumphing with 1.1 seconds left on the clock, and that is the sort of win that can give teams momentum that carries them though a number of games. Going into this game, Reggie Jackson is the leading man for the Thunder, no mean feat considering he missed the first three games of the campaign with an injured ankle. With Russell Westbrook and Kevin Durant absent, the Thunder have become reliant on Jackson, but he has been playing his part in the good things that the team have achieved this campaign. It looks like being a close one in Milwaukee and the odds of 1.90 for the Thunder at +3 are sure to be of interest. Bet Now! Make sure to keep up with my progress on my Tipster Challenge profile page. 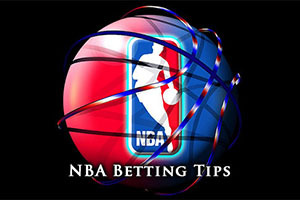 Basketball Betting is giving away a minimal amount of £100 in prize money each month and everybody may join for free.